We’ve all experienced red, bloodshot eyes at times which can occur in one or both eyes. Red eyes can result in eye pain, itching, blurry vision and swollen eyes, or may cause no disturbance at all. 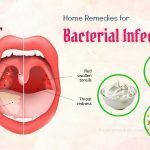 However besides following doctor’s prescription, most people still obscure about ways to treat this eye infection at home themselves. 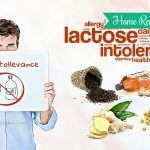 I know that the reason you are reading this article of Top 33 Effective Home Remedies For Red Eyes is to learn how to treat this eyes disease at home, but before that, you had better understand some basic information about this problem. That way, you can use our home remedies for red eyes ­in a proper awareness to obtain best results. Red eye is a term used to define red and bloodshot eyes. It occurs when the blood vessels on the surface of the eye and sclera are broken or dilated, or sometime due to conjunctival hemorrhage.Redness of the eyes sometime can accelerate a serious eye condition that requires special diagnosis and treatment from eye practitioner. Red eye could be due to an illness, injury, eye infections, or other condition such as allergies. Treatment for red eyes varies, depending on its cause. 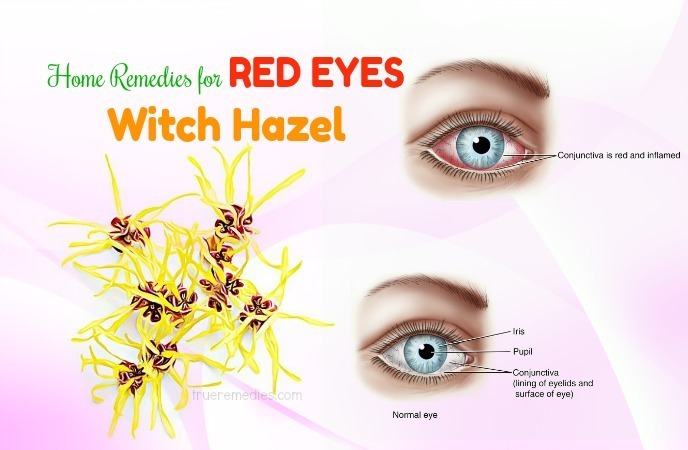 Remedies for red eyes comprise of rest, cool compresses over your eyes with the beneficial of familiar ingredients you can find at home or special properties from traditional herbs remedies. What Are Causes Of Red Eyes? Conjunctivitis is one of the most common eye infections and well known as “pink eye”. It’s an infection or swelling in the outer thin membrane that lines part of your eyeball, caused from the inflammation of blood vessels in your conjunctiva. This forms the red or pink color on your eyes which can be contagious, particularly occur among school children. In fact, a reddish-pink eye is a telltale sign of conjunctivitis. There are different types of conjunctivitis — and therefore different ways to treat pink eye. To get a correct diagnosis be sure to visit your eye doctor regularly. This syndrome occurs when an insufficient quantity or quality of tears are produced in your tear glands to lubricate your eyes. Getting dry eyes for long period of time can cause inflammation and irritation on the surface of your eye, leads to the red appearance of your eyes. One of the main causes for red eye is over-wearing or less caring for your contact lenses, which leads to the expansion of irritating microbes on your eyeball. Eye infection from keratitis and fungal while wearing contact lenses could be a serious sign of forming red eyes. If you have chronic dry eye, a low-fitting and underqualified contact lenses can worsen and reduce the amount of oxygen away from cornea and restrict normal tear production. In this case, please remove your contacts immediately and visit your eye doctor. Fatigue eyes always go along with the habit of staring at your computer screen for extended periods, which causes burning and red. In daily life your eyes have to work overtime in front of the screen without appropriate rest, you less blinking will dry out the surface of your eye, provide condition for eye dryness and redness. “Allergy eyes” are often the term referred to “red eyes”, given that red eye is a telltale symptom of an allergic reaction. This symptom can be explained by the reaction of immune system, when reacts to a foreign substance, such as dust, makeup chemical, pet dander or pollen, your body will release histamine as a apart of inflammatory response to fight off allergens, causes enlargement of blood vessels in your eyes, as a result of red and watery eye. Take advice and medication from doctor to avoid known allergens in which you are sensitive. Another reason for red, bloodshot eyes can derive from trauma or injury to the eyes, in some cases together with subconjunctival hemorrhage. Blood vessels, as and inflammatory response to injury, enlarge to allow more blood flow and quickly heal the injury area. This dilation is what causes red eyes that should be treated as medical emergency. Corneal ulcer is one form of cornea infections which are potentially sight-threatening. It is typically caused by untreated eye infection or trauma to the eye. In addition to red eyes causation, this symptom always contains eye pain and reduces your vision, which should be treated as an emergency. Red eyes are typically found from the inflammation if the middle layer of the eye which is called Uveitis. This symptom is also characterized by visual disturbance (blurry, floater) and light sensitivity. The causes of Uveitis are many, most common are eye infections, trauma and injury, or systemic autoimmune disorder. In many cases, the original cause of uveitis is still unknown. Without early treated methods, uveitis can nourish detached retina, cataracts and high ocular pressure, which can lead to permanent vision loss. In most cases it’s difficult to realize as glaucoma is asymptomatic and gradual when it first develops. When the eyes appear to be painful associated with bright-red color, accompanied by vision loss and nausea, this could be a sign of angle-closure glaucoma which is a sight-threatening condition. Also called eye herpes which is periodic viral infection caused by the type 1 herpes simplex virus. Herpes of the eye can cause eye redness, eye pain, swollen eyes, watery discharge and light sensitivity. If left untreated, this symptom can cause scarring of the cornea. In worst situation, a cornea transplant is required to restore vision. Common symptoms of cold or flu include bloodshot eyes along with running nose. Red eyes in this situation are caused by a sinus infection or blocked sinuses when you sneeze and cough. During pregnancy, hormonal changes can affect your eyes, make them red as well as dry and itchy. In some cases, pregnancy can also adjust the shape of your cornea which might lead to blurry vision or irritation to contact lenses. However these problems are usually temporary and sorted out entirely within weeks or months after childbirth. Did you know that smoking harms your vision? Besides significantly raising the risk of age-related macular degeneration, lungs cancer, tobacco smoke can cause eye redness and dryness, produce cataracts and uveitis. Bloodshot eyes can be suffered if you smoke marijuana since the main psychoactive ingredient in marijuana can cause significant increase of blood vessels on the eye and lead to several hours or longer of eye redness. Eye drops purchased from pharmacies for red eye treatment contain vasoconstrictors which are chemicals that shrink the blood vessels on the eye surface to reduce redness. Sarcastically if you abuse whitening eye drops over a long term it can be harmful as many people regularly using this medicine resist in its whitening effects and actually find it hard to give up but overuse more and more. In the worst situation, using eye whitening drops continually can actually aggravate the eye redness. If you stop using this drop, it will lead to a condition called rebound hyperemia. Living or working in a dusty air, smoke, sand, wood filings and excessive sun exposure can harm your health as well as the reason for eye redness. Underestimation on wearing protective eyewear such as safety glasses when in unprotected environment is the mainly cause of eyes irritation which leads to serious diseases. The appearance of puffy eyes and dark circles indicates that you haven’t had enough sleep. Eye strain from insufficient sleep is a dead giveaway that will make red color of your eyes. What Symptoms Are Associated With Red Eyes? You suffer from swollen eyelid and discharge, which could be thick due to watery. Eyelashes fall out. This is typically associated with blepharitis. If your red eyes associate with pain and severe symptoms, consider it with urgent treatment which is necessary to see your eye doctor and get medical emergency. If you wear contacts lenses and find those symptoms below happen to your eyes, remove them immediately and visit your doctor. 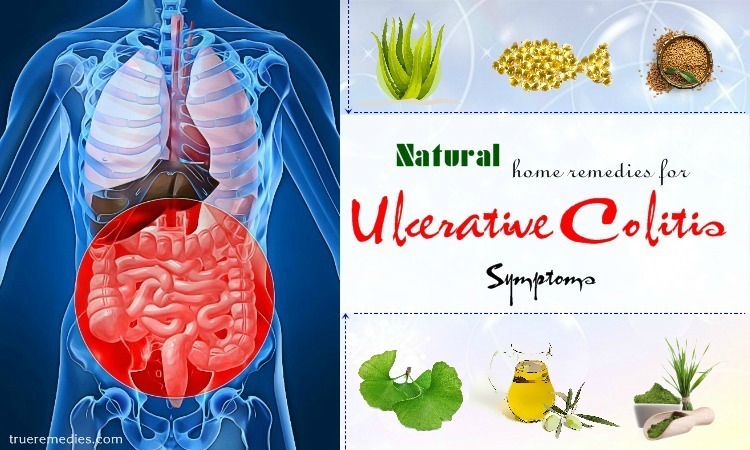 Never underestimate doctor’s appointment even if you actively use our home remedies. In the worst case, surgeries are required to ensure your eyes recovery in the best condition. 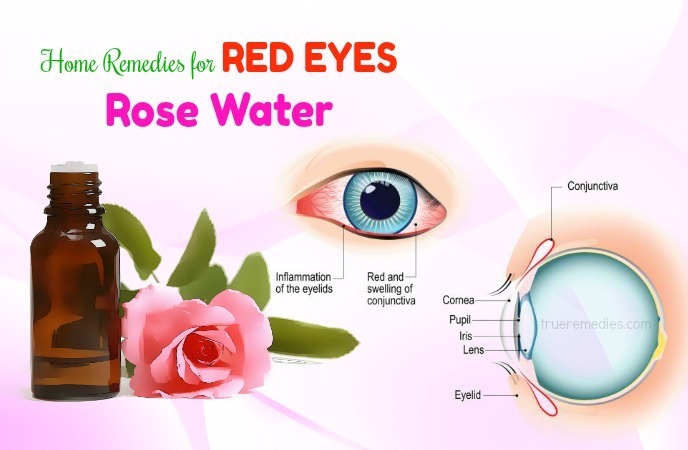 There, you have discovered some information about red eyes, it is time to find out what the best natural home remedies for red eyes are. Here are some easy-to-do tips that help cure bloodshot eyes without drugs. 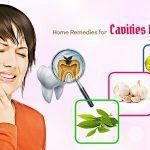 Take a look at TrueRemedies.com! One of the best and simplest home remedies for red eyes is to splash some cold water on your eyes or soak a towel in water and keep it over your eyes. Remember to ensure the water source is pure as to prevent worsening the disease. Treat your eye with care using this solution however it is low-effective if your eyes appear severe symptoms. Dip a wash cloth in a bowl with warm water then wring it to release extra water. Place the warm compress over your eyes. This can takes 5 to 10 minutes. After that, rewet the cloth and repeat the process. Another simple way to prevent red eyes is wrapping some ice cubes in the cotton cloth and holding them over your eyes for a few seconds. After applying warm compresses, you can also wash the eyelids using baby shampoo to erase the crusts. To prevent from aggravating red eyes, you must reduce the hours you spend on looking in front of the TV and computer screen as well as handy device like smartphones, tablet and IPad. Staring continuously for long hours on these screens can cause eyes dryness which is main element for red eye. Remember, always adjust your seat as well as your eyes in appropriate distance with the screen. Keep your eyes 2-30 cm away from the screen. Allow your eyes to focus on things at varying distances and of various sizes when you move your eyes away from the screen. For a better condition, wear anti-glare glasses that are designed specially to reduce eye strain from monitor reflection. Repeat this process twice a day till the redness fades away. Dip a cucumber slice in rose water and then place them over your eyelids. The water content in cucumber and cooling effect of rose water are what reduce eye redness. Use rose water as eye drops. Put 2-3 drops of this liquid into each of your eyes or wash your eyes with it. You can use tea bags as remedy to cure eyes infection. The tannin compounds in tea reduce eye swelling as they conclude antimicrobial properties. 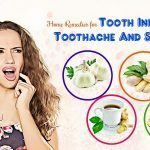 Since many green, black and herbal teas provides significant benefits, this traditional relaxing effect remedy with cool, damp tea bags is no longer a secret to decrease the inflammation of redness. These few top contenders are recommended to help curing your eye pain includes rose petal, catnip, chamomile flowers, eyebright, and blackberries leaves. You can follow this simple remedy by chilling used tea bags and place them over your eyelids. 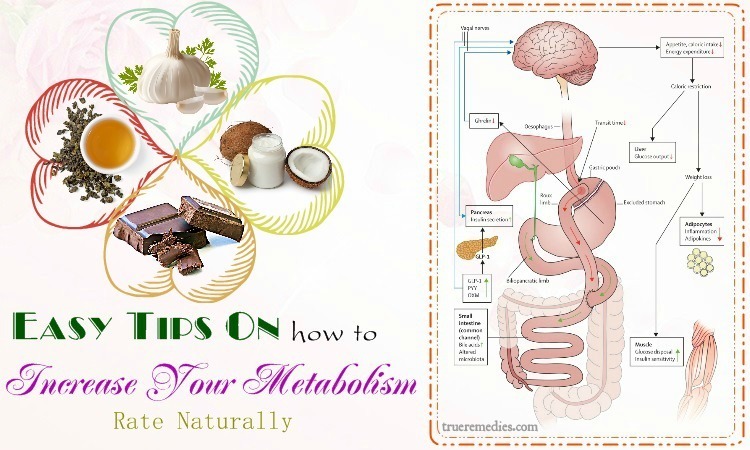 Use Chamomile tea bags to obtain best results. Cucumber can diminish the swelling of red eyes effectively as it has the properties of anti-inflammatory and cooling effect . Keep a cucumber cool in a fridge for 10-15 minutes and slice it up. Place one slice over each eyelid for a few minutes to get rid of swollen and red eyes. Keep a balance diet that is rich in Omega 3 and Omega 6 fatty acids (nuts, flax seeds, salmon etc.). Provide vitamin B2,B6 in your daily meal from such foods found in eggs, daily products, fresh vegetables, cereal, tuna fish, and yogurt. In addition, cauliflower, spinach, celery, cabbage, broccoli and fruits like oranges, strawberries are rich in Vitamin C and vitamin E, lutein and zeaxanthin for your diet. Note: to maintain a healthy equilibrium, around 30 mg of each vitamin intake in 2- 3 times a day can get rid of nutrition deficiency that causes eye infection. Mix equal quantities of milk and honey and pour 2-3 drops into each of your eyes. Soak a cotton pad in raw cold milk, rub it over your eyes for 15 minutes at least, two times a day. Boil some water and add 1 tbsp of salt in it. Repeat this routine daily for 2- 3 days until the symptoms of eye redness ruled out completely. Keep it in the fridge for 12 hours. After chilled, put the slices out and place it over your eyes for 15-20 minutes. Wash your eyes and repeat the procedure for 2-3 days. 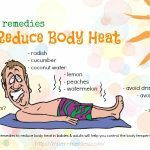 Apply it directly to the eyelids to reduce swelling and pain. Vegetable is a rich source of minerals and nutrition that can prevent eye redness and keep eyes healthy, such as carrot which contains Vitamin A and Beta carotene; spinach provides such vitamins like Lutein and Zeaxanthin. Carrot and spinach juice should be included on your regular basis to maintain a better health and control infection . Apply fennel seeds directly on your eyes as eye drops or compress. Wash your eyes using this water for several days. Clean your eyes with it. Repeat the process 2 times for several days till your eyes recover. You can rinse your eyes using mixture of ¼ tbsp of baking soda in ½ cup of water. Try to keep your eyes open while processing this method to get the best result. After thatplease lie down and close your eyes. Rest and relax for 10 minutes, then rinse your face with cool water. By this easy trick to place frozen bread over your eyelids, you can ease the redness, itching and inflammation in your eyes contemporary. Since reducing temperature is effective for constricting blood vessels, which leads to reduced redness, swelling, and irritation, this simple remedy is a great option when you need to relax your eyes at home. Place 4 steel spoons in a glass of ice water or ice cubes, or you can just chill them in the fridge. Put each spoons over each of your eyelid. Replace another set of spoons as soon as the previous ones start to warm and rest those in cold water. Repeat the process several times a day till redness and swelling subside completely. 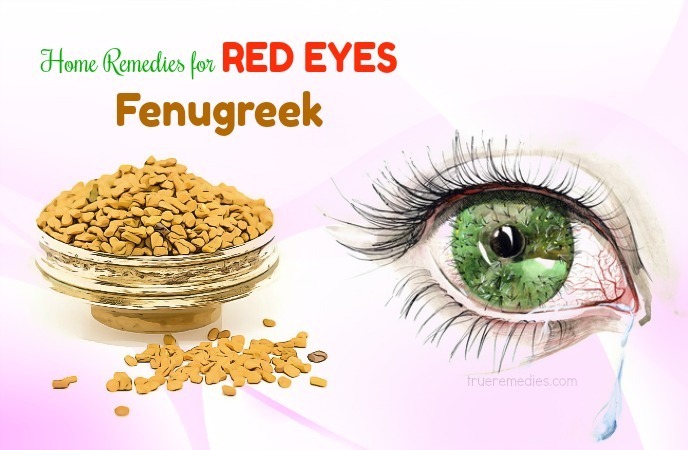 Herbal Remedies for Red Eyes: There are some traditional remedies that also provide the effectiveness in curing red eyes are also listed below. Let’s take a look on them. Use it as cold compress over your eyes for 10 -15 minutes. Repeat the procedure till the red color vanishes. Green tea can also help get rid of redness and swelling eyes as it contains anti-inflammatory properties  . Prepare green tea by boiling two green tea bags in a cup of water. Wait till it cools and rinse your eyes with this liquid twice a day, for 3 days until the symptoms disappear entirely. 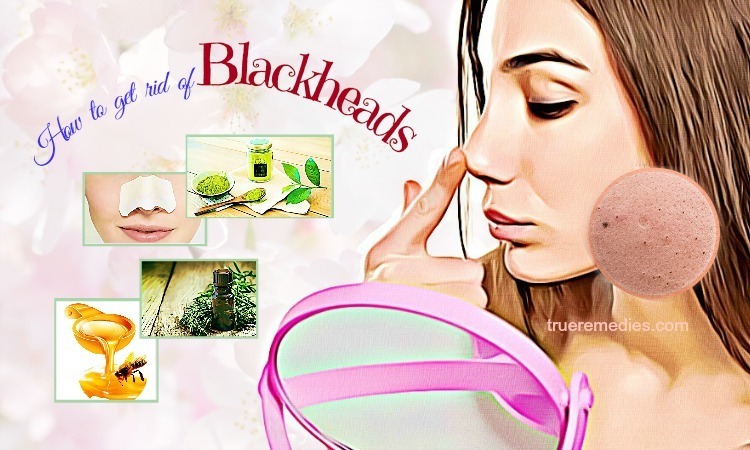 Apply green tea bags directly on your eyelids to get rid of puffiness. Aloe Vera is very common used as a medicinal plant to combat eye infections, since it has anti-bacterial properties along with its ethanol and ethyl compounds extracted in eye drops to prevent inflammation. Wash your eyes with this mixture twice a day for 2-3 days, till the redness diminishes. Bilberry contains high amount of flavonoids and antioxidants which is helpful for increasing the blood flow in vessels around eyeballs to prevent eye disorder. Ask your doctor to get the best consult before consuming bilberry tablets, and pour bilberry extract into your eyes twice daily, repeatedly for several days till the redness vanishes  . Repeat this procedure for 3-4 days until redness disappear. Another beneficial method for red eye is chamomile tea. 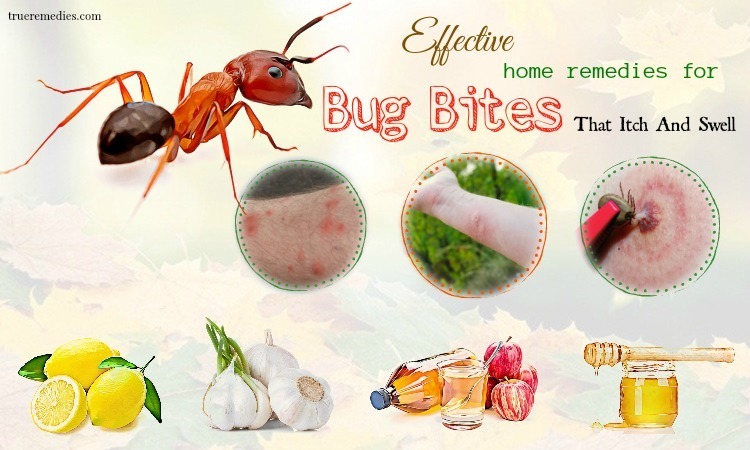 It contains inflammatory properties that ease eye swelling due to infection. An easy way to make chamomile tea is to boil some chamomile flowers in a cup of water and strain this mixture to wash your eyes. Alternatively, put 12 drops of chamomile tincture into a cup of water to rinse your eyes. Splash the rinse into open eyes, or mist into open eyes. Boil a handful of raspberry leaves to make tea. Steep this for few minutes. As a cold compress, apply this mixture over the eyes for 10-15 minutes for 2-3 days. Repeat the process till the redness is excluded. Eyebright Herb, in another name Euphrasia officinalis L., is one of a common treatment compound that is used to eliminate eye redness. Anti-inflammatory properties in Melanthonic extracts to produce eye drops from this herb willincrease the process of curing eye infections. Bring the mixture between water and this herb to a boil and remove it from heat, strain the solution and apply it into your eyes . One traditionally method used in treating eye infections is Goldenseal. This herb retains an element which is naturally anti-bacterial called Berberine thus it helps accelerate the treatment of eye infection  . To make Goldenseal remedy into use, bold 2 tbsp of Goldenseal into a cup of water. Strain this mixture and wash it for your eyes. Alternatively you can use it as eye drops by putting 2-3 drops of goldenseal tincture into each of your eyes. Drink enough water to maintain the body balance and anticipate diseases. Get your eyes rest frequently especially when at work as it helps maintain essential moisture in your eyes to advert eye redness. Take a break from looking at the monitor screen following the 20-20-20 rule: put your vision off your computer every 20 minutes and gaze at a distant object 20 feet away for at least 20 seconds. Wear goggles for eyes protection when you go out to reduce direct sunlight exposure to your eyes, especially bacteria from pool when you go swimming. If possible, retain the humidity at your place in less than 50% to reduce the growth of mold. Wash your hand frequently even if you are home or going out. Keep good hygiene when using contact lenses since they can be a breeding ground for harmful bacteria. Remove them quickly when you realize the symptoms.Clean your contacts and ask your eyes doctor when it’s needed for your lenses replacement. Schedule an eye exam and visit your eye doctor at least once a month to prevent eye diseases. Don’t rub your eyes even if you have washed your hands thoroughly as irritants on your hand such as oil and debris can severe eye infections and redness. Avoid staying in polluted environment especially when your eyes get infected cause it will severe the symptoms. Quit smoking as it significantly increases the chance of getting those eyes symptoms for you and other people around. Don’t overuse whitening eye drops as they can create a “crazy” red-eye effect overtime. If you suffer from eye allergies, it’s better to stop raising pets at home and stay away from them. 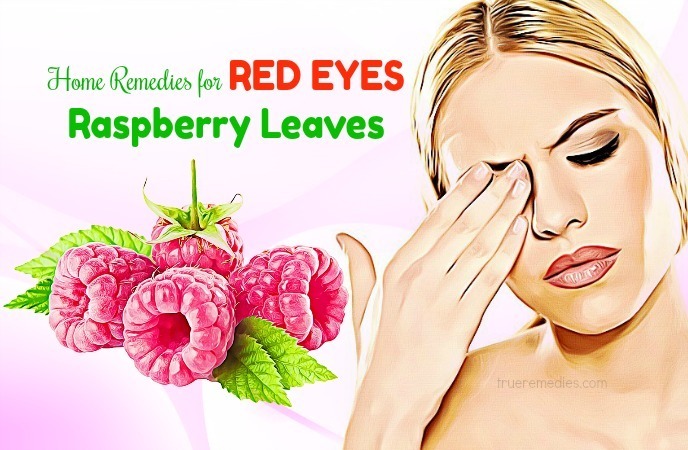 The above-mentioned home remedies for red eyes are claimed to be simplified and help reduce the symptoms of eyes redness as well as other eyes infections. Choose some of these home remedies for red eyes and combine with your own homemade tips to see how effective they are. 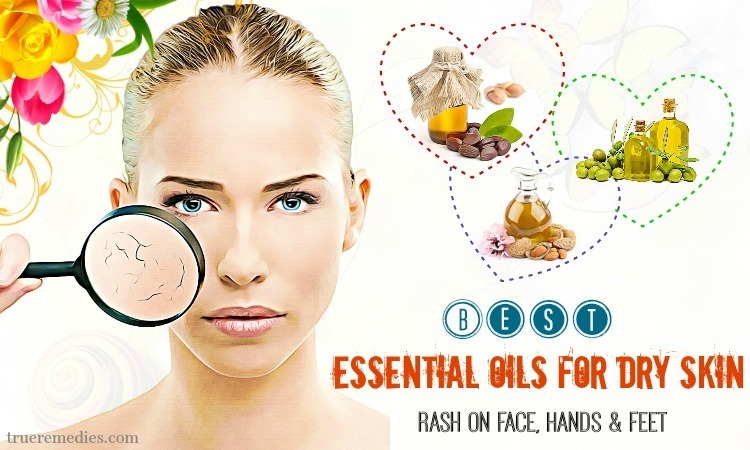 If you have any contributing ideas about our article of “Top 33 natural home remedies for red eyes” introduced in Home Remedies Category, do not hesitate to drop your words below this post. We will reply as soon as we could.